Wi-Fi Planet: The Nikon Coolpix S6, like the earlier Wi-Fi cameras from Nikon, is a good product, well designed and well built. However – and this may be sacrilege for a Wi-Fi publication – I do wonder how much convenience Wi-Fi really offers. How difficult is it, after all, to take the card out of your camera and stick it in a printer card slot, or plug a USB cable into the camera and your computer? For now, the wireless functionality remains interesting, but not a must-have. HardwareZone writes about Nikon Coolpix S6 that it is no small feat for a subcompact to offer WiFi connection, but even more impressive are its imaging performance and functions in relation to its size. At US$449.50 (US$349.95 for S5), Nikon has put together an irresistible subcompact that travelers surely will appreciate. DigiCamReview gives a above average comment about Nikon S6 that Nikon Coolpix S6 is a very stylish, slim 6 megapixel digital camera with a 3x optical zoom lens and a huge 3″ screen on the back. 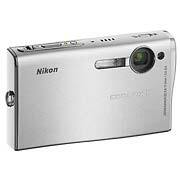 The digital camera is one of few to include Wi-Fi support for wireless transfer of photos. The camera has a lot of features built in that aim to produce a better image, such as Face-priority focus, D-lighting, Red-eye reduction, Blur-warning, etc. However all of this is useless if the lens isn’t capable of acquiring a sharp clean image. In this case, the Nikon Coolpix S6 is noticably let down by the lens, as it produces vignetting, distortion, soft corners, and soft edges, so no matter how much post-processing goes on, the image quality will always be a weak point of this camera. Add to that, the very high red-eye in indoor photos, that isn’t removed by the built in red-eye reduction, and the image quality problems start mounting up. Overall image quality is very hit and miss, one photo will come out looking great, (particularly macro photos), whereas another photo will come out looking awful (the worst photos were left out of the gallery). If image quality was up there with the rest of the cameras features and abilities then this would be recommended, however, as it stands with image quality so hit and miss, it’s very difficult to recommend this camera.